Choose directly your appropriate ultrasonic sensors for your application or select with filter settings at the sensor search your sensor from the whole sensor program. The app provides detailed sensor information and users manuals. No internet connection is required to run the app (apart from updates). Sensor search: Type directly in the order name of your ultrasonic sensors and look for technical details or choose from several hundred sensors by criteria “family”, “operating mode”, “output”, “design”, “further versions” and “distance to object (mm)”. Add your chosen sensors to your favorites within the app. Sensor families: Become acquainted with sensor families and its associated sensors. The app contains both highlights and detailed specifications and respective user manuals. 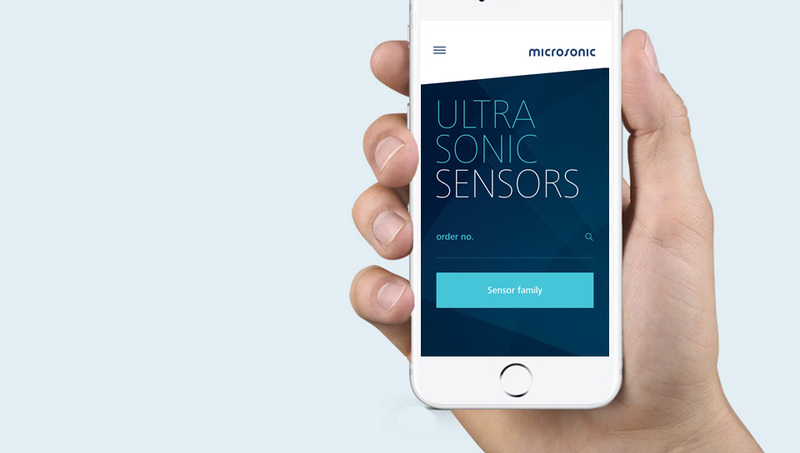 microsonic: Find out more about the world renowned specialists for ultrasonic sensors. Service: Discover the fascinating world of measurement via ultrasound. News: Discover the most recent products and find out more about microsonic and ultrasonic sensors. Favorites: Add your chosen sensors to your favorites within the app. Your favorites are marked with a star in the sensor list and in the detail sensor view. Settings: Choose your desired language. „In the founding year of our company we sold a whopping nine sensors“, Johannes Schulte, founder of microsonic GmbH remembers. 25 Years have passed and today microsonic is in the top three of the world's ultrasonic sensor producers. microsonic doubled its production capacities at the new company location at PHOENIX Lake. The building was designed by Architekturbüros F&G Geddert und plus 4930 Düsseldorf • Berlin and erected by Freundlieb Bauunternehmung GmbH & Co. KG in Dortmund. On a 4,300m² piece of land a three-floored building was constructed that includes manufacturing and storage areas, R&D labs and an entire floor for management, sales and admin. 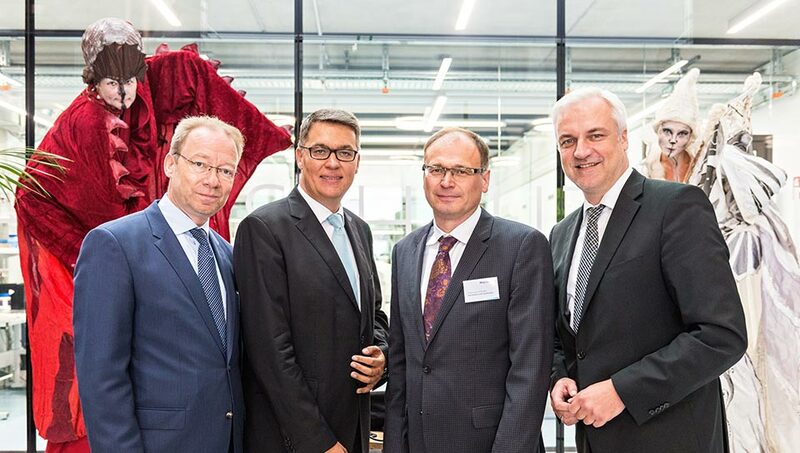 On September 15, 2015, the Dortmund specialist für ultrasound sensors officially inaugurated their new headquarters. Clients and partners from Germany and other countries as well as guests from industry, science and politics had the opportunity to explore the new company building in what was once the steel production site Phoenix East. "microsonic brings a highly innovative company to its new headquarters in the historical steel production site Phoenix. Looking at the rise of this two-man-company into a leading specialist for ultrasonic sensors and viewing their new location at Phoenix, one term springs to mind: vivid structural change," said Garrelt Duin, Economy Minister of North Rhine/ Westphalia, about this double event. 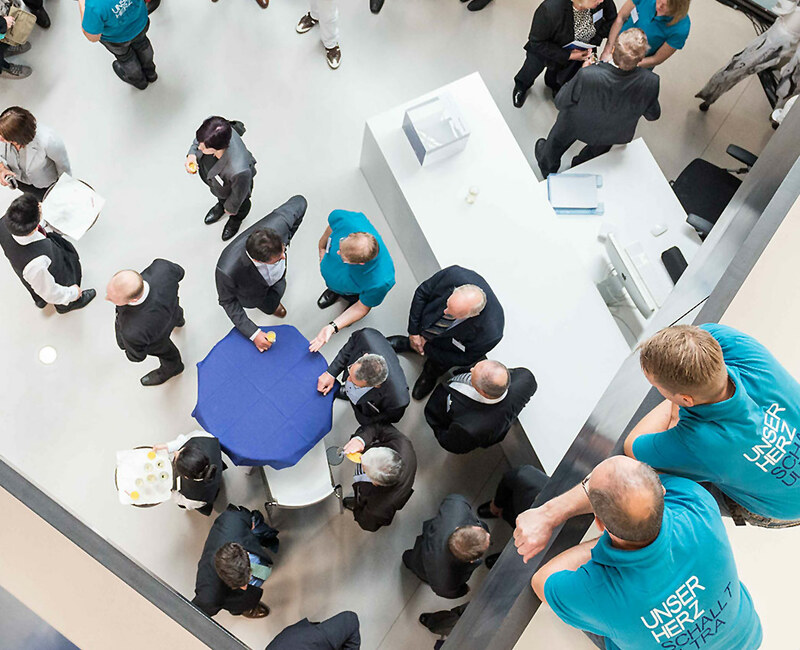 After specialist presentations, a sensor exhibition and a show presentation of sensor manufacture, a festive summer party on the roof terrace rounded off the 25th anniversary and headquarters inauguration. Phoenix East was once a production site for high-quality steel. Today microsonic utilizes this location and its infrastructure, among other things, to provide an attractive working environment - the spacious cafeteria, for example, offers a clear view of Phoenix Lake. Architecturally, the modern, newly-constructed building is bright and open, with much glass and steel in its design. The central light tower connects the individual departments of the three building levels, ensuring close interconnection of daily business processes. The green roof terrace facing south creates an open communication space for large and small meetings and a recreational area for employees during their breaks. 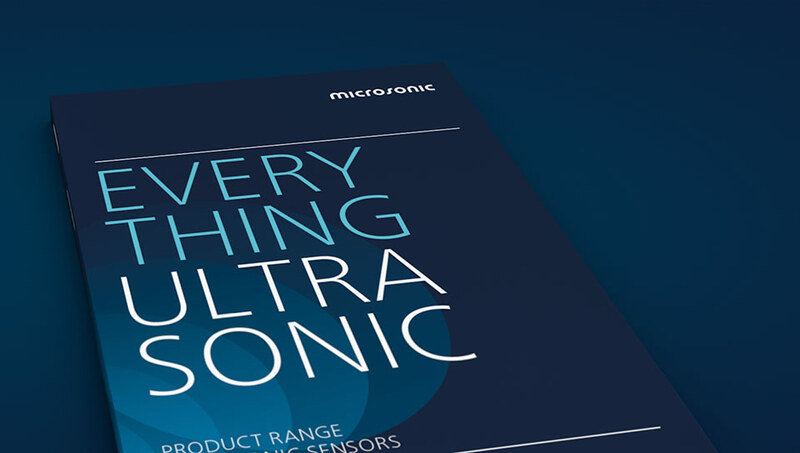 The new microsonic product catalogue presents the current range of ultrasonic sensors in a stylish look. The catalogue consists of 140 pages well filled with technical details for each ultrasonic sensor as well as interesting background knowledge of ultrasonic technology. A look at the overview table is an easy way for customers to select the right sensor. Today, microsonic is a globally recognised specialist for ultrasonic sensors in applications for industrial automation technology. Wherever other types of sensors have reached their performance limits, there are almost no restrictions to solve an application with ultrasonic sensors. Whether solid, liquid, powder or transparent materials; ultrasonic sensors detect objects without contact. What’s new? lcs+ cuboidal ultrasonic sensors, bks+ web edge sensors plus the shortest M12 ultrasonic sensor in the market, the nano, complete a wide product range. The portfolio provides ultrasonic distance sensors in different specifications (cylindrical, cuboidal, miniature housing, chemical- or pressure-resistant) and ultrasonic sensors for special applications like double-sheet control as well as label and splice sensors. Upon request, customer-specific requirements and concrete demands often provide the starting point for individual developments.